Technology, digitalisation, future. The KraussMaffei Group will be presenting pioneering industry solutions under the theme “Technology meets Digital” at Fakuma (October 16 – 20, Hall A7, Booth 7303/7304). 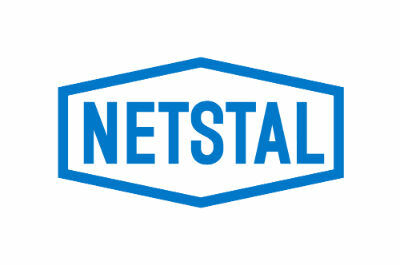 In this connection, Netstal will be introducing the Smart Operation control option. With its new operating philosophy, the new option for the aXos machine controller offers a sensible separation of the development of applications and the subsequent operation of the machine in the production environment. Its users benefit from a further increase of the effectiveness of their production plants. Separation of the flexible development of applications and the intuitive operation in the production environment. 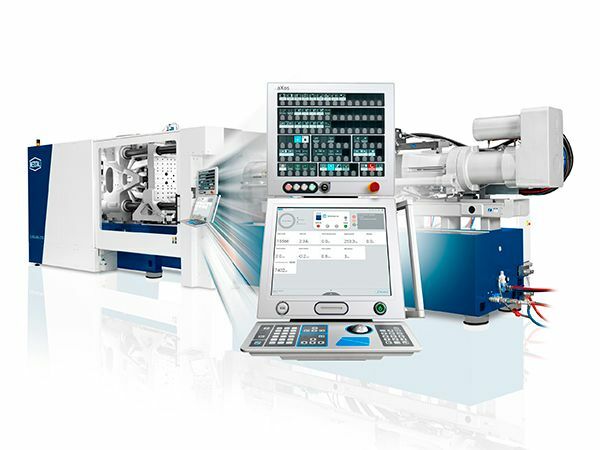 High-performance injection moulding machines are complex systems. The wide range of application options require a high degree of individualisation when developing applications. In a production environment, however, it’s all about a control concept that is as intuitive and safe as possible. Netstal’s answer to this requirement is called “Smart Operation” and will be presented in action at Fakuma for the first time. Interested visitors can witness the benefits of this new option in person at the Netstal booth, where an ELIOS 4500 will be in operation. “With its unique operating philosophy, Smart Operation allows the consistent separation of the development of applications and the subsequent operation of the machine in a production environment”, said Netstal CEO Renzo Davatz. The aXos controller will continue to offer the usual high flexibility when it comes to programming a wide range of injection moulding applications. Based on the application, all processes can be flexibly defined by in-house experts. Smart Operation provides users with an innovative operating concept to be used in a production environment. It consists of four new buttons, the so-called Smart Buttons, as well as a pre-configurable dashboard on the main screen for the illustration of relevant process information, situational interaction notifications as well as application-specific instructions. Smart Operation builds on the concept of clearly defined machine conditions. The new Smart Buttons trigger status transitions during the production process. That means, for example, that with the push of just three buttons, the machine can be turned on, prepared for production and begin production. And the production can then be ended, and the machine turned off just as quickly, easily and safely. All conventional operating elements can be locked to ensure that the operation in a production environment is as simple and safe as possible. The machine is then exclusively operated via the Smart Buttons. “As a result, Smart Operation ensures guided and safe operation in the production environment. Standardised handling guidelines such as GMP, which are based on in-house expert knowledge, are reliably incorporated into the machine controller.”, Davatz emphasised. When using Smart Operation, the operating concept remains unchanged across all applications. Members of the production team can be trained more quickly and can be utilised more flexibly. The scope of written process descriptions, checklists and work instructions at the machine can be reduced significantly. By using Smart Operation, Netstal users will benefit from additional increases of a plant’s overall effectiveness. Thanks to the safe and guided operation, the high availability of the Netstal machine is increased even further. Incorporating handling guidelines into the machine controller, coupled with the guided operation, is an effective way to prevent operator errors. “Through Smart Operation, we are helping our customers achieve their effectiveness goals over the long term by keeping unit costs low while maintaining a consistent quality”, Davatz concluded. Smart Operation is optionally available now for all Netstal machines of the ELIOS and ELION series. Existing plants that use an aXos controller can be retrofitted.